Specialists in the installation of all exterior decoration and landscaping projects, our team can design and install patios, block paving, driveways and fencing. Our Marshalls Approved landscape installers can create bespoke designs that always come fully guaranteed for any defects or damage for your peace of mind. Block paving has become a more popular choice over the recent years for driveways, pathways and patios due to its qualities of durability and versatility. Block paving is suitable for all home driveways as it can withstand the weight of heavy vehicles and frequent footfall. With a wide variety of sizes, shapes and colours available, you can choose a block paving design that suits the style of your house and existing landscaping systems. The installation process involves creating a plan and survey in which we detail the whole process, including the alignment checks, recess tray & gully covers and the jointing and compaction finish. There are many types of block paving available on the market including clay, cobbles, concrete blocks, natural stone, reconstituted paving, hexagonal, pentagonal, surface sets and permeable, and our team can help you choose which one is most suitable for your property. 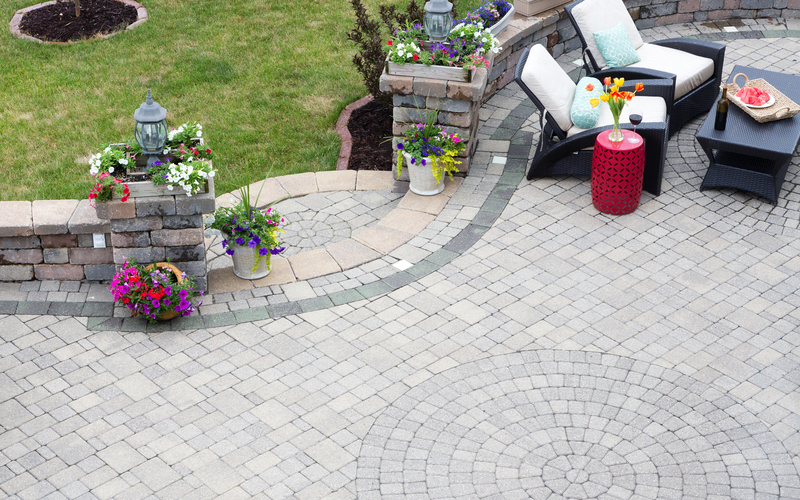 The most common block paving materials are concrete and clay, and there are many factors to consider when choosing which one to have installed. Concrete is an affordable material that is available in a range of colours and styles, however over time, the colour of the dye or tint will fade. Clay tiles are more expensive, however the colour does not fade, and they are extremely hardwearing, although they sometimes are prone to developing moss. Regardless of the material chosen to pave the area with, we have to excavate, level a sub-base material and fill in any holes and uneven terrain with stone dust and grit. We then spread, level and compact the sand, screeding it to create an even ground, before laying the blocks, cutting in the edges and jointing and compacting. 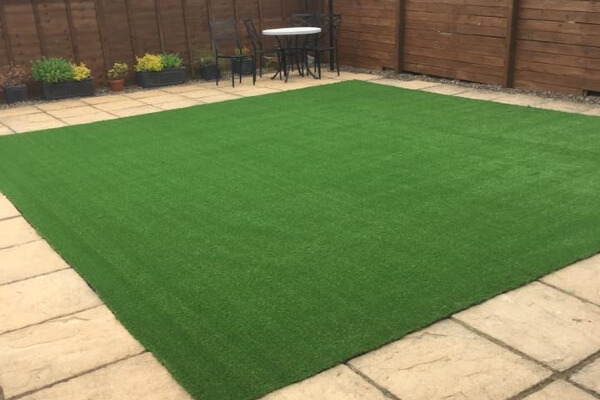 A patio is a paved area to the exterior of your house with the purpose of creating additional usable space in your garden, and they are usually at the same level as the ground. Popular materials used to create a patio are stone, concrete, ceramic tiles, limestone, sandstone, slate, granite, travertine and brick. Patios are most commonly used as a seating area, for storing potted plants, for a kid’s entertainment area or for storing a barbeque, and they can be covered by an awning, sunshade or other wooden structure. Although patios are usually at ground level and attatched to your house, they can be dis-attatched and have stairs up to different levels. A patio can be a great addition to your home as you can store garden furniture there, which you can use with your family and guests in the summer months. In addition to being a beautiful addition to your garden, a patio can significantly increase the value of your home. We can create high quality and long-lasting driveways for your home or commercial property that are made from paving, tarmac and concrete. It is essential that your driveway is made permeable to prevent your driveway and house from flooding when it rains. If you choose non-permeable paving, it not only puts you at risk of flooding as the water cannot drain away, but you may require planning permission to do so. You should use permeable paving to reduce flooding, prevent subsidence problems and protect your garden walls and paths from cracking. Resin bound driveways are attractive driveways made from small stones attatched by resin that allow rainwater to drain away easily through the ground. They are known for being very easy to maintain, environmentally friendly and highly permeable. Resin bound paving is made from aggregates that are blended together with a polyurethane resin, which we trowel down onto an open surface asphalt. 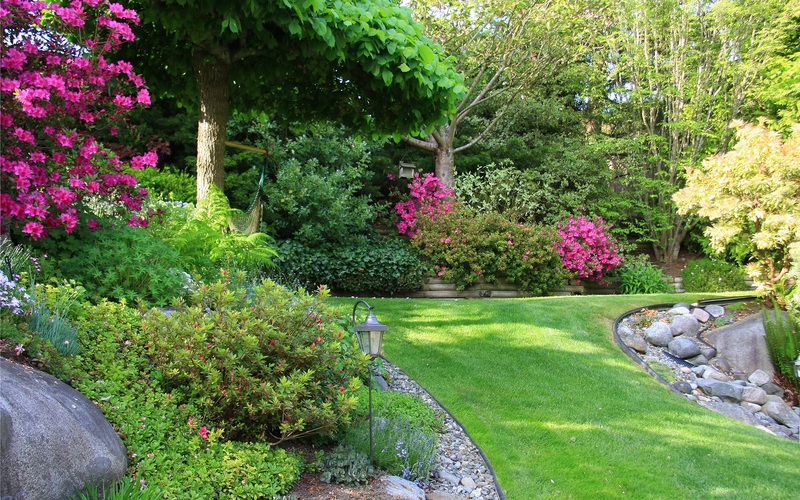 Our team of landscapers can create high-quality hardscaping solutions including decking and fencing designs. We take pride in custom designing all our fencing, whether you require a wire or wooden fence. The purpose of a fence can be either to create a transparent separation barrier or create a completely solid privacy wall. We specialise in all types of fencing including concrete posts, timber fences, trellis fencing, post and rail fencing, and double driveway gates, using only the highest quality materials, locally sourced wherever possible. There are many different types of wood that can be used for fences, including pine and cedar, and we can custom build them to fit your garden. Washington (otherwise known as Washington Tyne and Wear) is a relatively new town that was founded in 1964 before it expanded rapidly. Washington is in the middle of Sunderland, County Durham and Newcastle, and historically it was known for being in the coal mining industry, so you can spot colliery tunnels all around the area from when they were in use. Some of the industrial estates within the town were named after local engineers Armstrong, Stephenson and Parsons. Attractions in the area include the WWT Washington Wetland Centre, the Washington Old Hall, the Arts Centre Washington and the Washington Air Rifle Range. Other places to visit include the National Trust Washington Old Hall and Albany Park. If you require block paving, landscape design or would like to find out more about our services, get in touch with our team today. Tel: 0191 526 6621 or 07833 503 055.